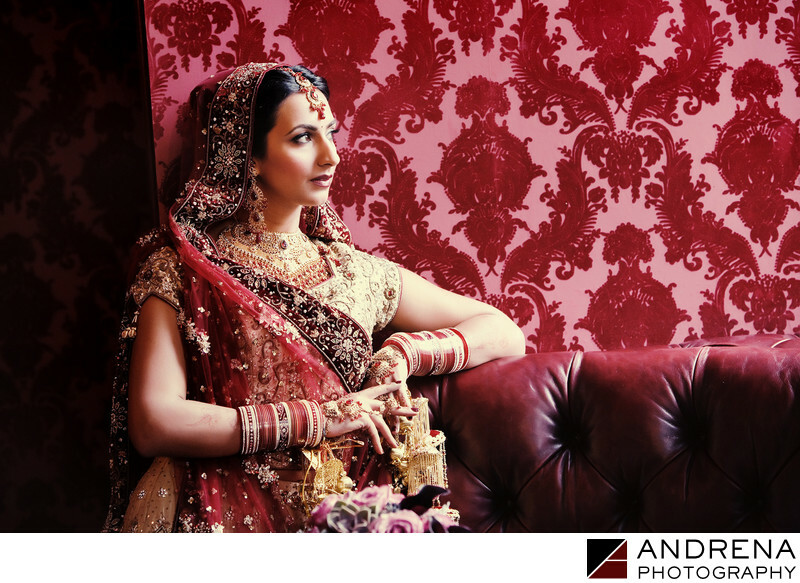 I'm always on the lookout for color, so while looking for Indian wedding portrait locations at the Roosevelt Hotel, the red velvet flocked wallpaper in the hotel's 25 Degrees diner immediately caught my eye. We had to get special permission prior to using this location for a few minutes of portrait photography, and I am very grateful that the hotel let us take a few photographs in this lovely location. The Roosevelt's 25 Degrees diner actually has an interesting menu that includes alcoholic milkshakes. Indian wedding photographed at the Roosevelt Hotel in Hollywood, California.